The Petermans came to us with a beautiful piece of property at the foot of Mount Si on the Snoqualmie River, and a vision to create a modest home intimately connected to the land. Soon to be empty nesters, they only needed space for themselves in the main house, with guest quarters provided in a separate building. The site had many gifts and challenges to work with. The entire property is in the flood plain, so the foundation is built to keep the floor above water at all times, and let water run through grilles on all sides. The floor system is also an insulated concrete deck on steel columns to eliminate the possibility of moisture causing structural damage. 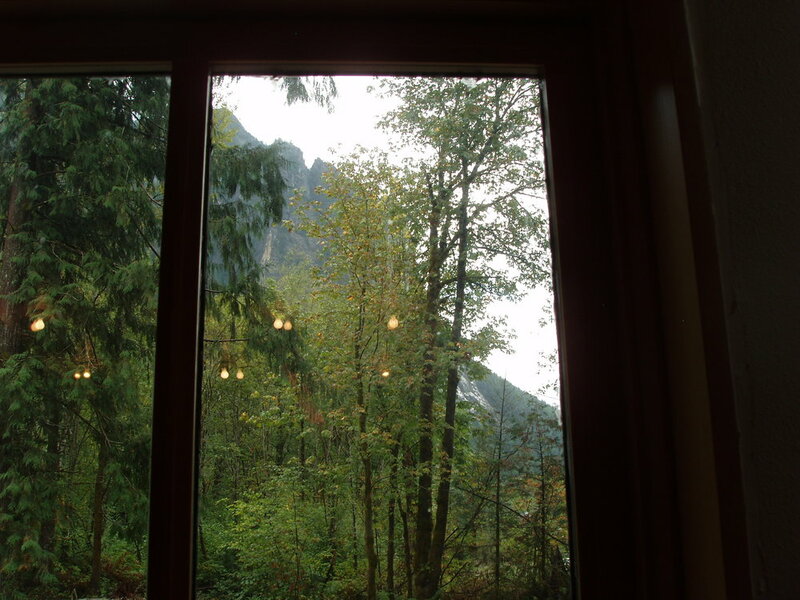 On the plus side, Mount Si is in the southern view so passive solar design quickly became part of the design program. To keep a limited footprint on the land, we clustered the masses with the guest and main houses attached at the roof line. A detached carport with a shop enclosed on one end completes the cluster. The Petermans spend much of their time outdoors enjoying all the Pacific Northwest has to offer, and a large terrace expands their living space and connects on three sides via an outdoor hallway between the main and guest building.